Every year the level of IPL fever is rising high with changes happening within the teams and players and increase in audiences to watch the crazy IPL matches. IPL is also the richest tournament and hugely admired across the world. This year IPL 2018 is approaching with its 11th edition. IPL season 11 will consist of 8 strong teams playing 60 matches at 9 venues in 51 days’ time. The opening ceremony of IPL 11 will begin on April 7, Saturday evening at Wankhede Stadium, Mumbai, including all the team players and their franchise members, will come together to rejoice the moment of season start. It would be followed by CSK V/s MI Twenty20 match. IPL 11 will end on Sunday, May 27. Watch all the matches on Star Sports and Hotstar! The first match of IPL 11 will be held at Mumbai on April 7. The opening match will take place between defending champions Mumbai Indians and two-time winners Chennai Super Kings at Wankhede Stadium, Mumbai. The XIth edition of IPL Twenty 20 will extend till May 27. This season will see the comeback of Chennai Super Kings and Rajasthan Royals after these teams served their 2-years of suspension for involvement in IPL 2013 betting case of their respective owners. Buy tickets to watch live in stadiums from BookMyShow. Auctions have already taken place on January 27 and 28 (Saturday, Sunday) at Bangalore which was telecast on Star Sports Live and Hotstar Live. At auction, 169 players including 104 Indians and 56 Overseas were sold. Ben Strokes gained the highest bidding of Ra. 12.5 crores [US$1.95 million], while Jaydev Unadkat was the costliest Indian players sold at Rs. 11.5 crores [US$1.80]. FEw known players like Dale Steyn, Lasith Malinga, Ishant Sharma, Joe Root, and Hashim Amla stayed unsold. Most of the players who were in Chennai Super Kings and Rajasthan Royals 2-years before joined back to their teams, with few new additions. The media rights for the telecast of IPL 11 has been bagged by Star Sports at Rs. 16,347.5 Crore [$2.55 billion] for 5 consecutive years beginning from this year. IPL 11, “Yeh 11 Saal Aapke Naam” is sponsored by Star India. 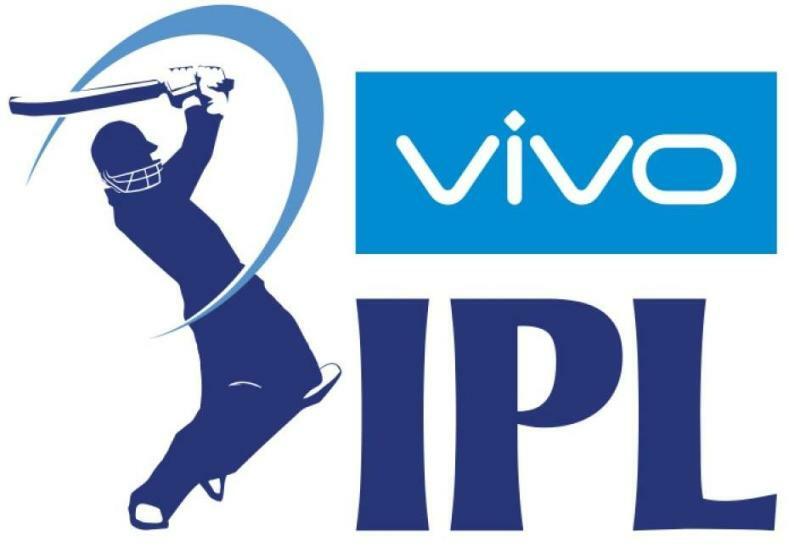 Therefore, people can watch all the matches of Vivo IPL- 11 on Star Sports 1 & HD [Hindi and English]. 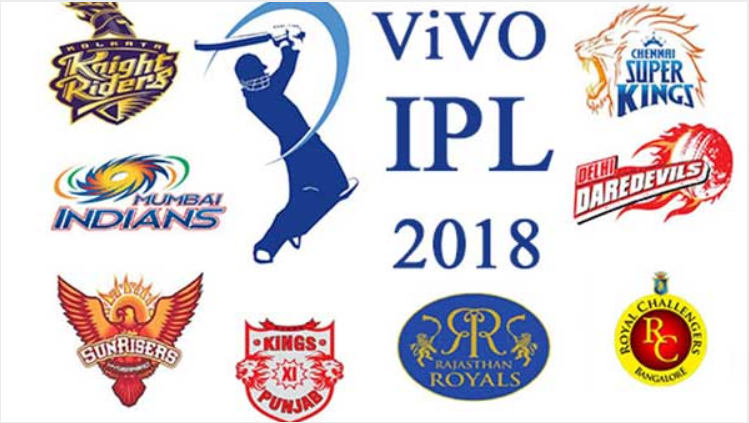 In this year’s IPL, 8 teams will be participating, including Chennai Super Kings (CSK), Mumbai Indians (MI), Delhi Daredevils (DD), Royal Challengers Bangalore (RCB), Kolkata Knight Riders (KKR), Kings XI Punjab (KXIP), Rajasthan Royals (RR), and Sunrisers Hyderabad (SH). Each team in IPL will play every other team, in the double-robin format. At the end of this format, the top 4 teams according to their total points qualify for playoffs. At that stage, the top 2 teams compete against each other [Qualifier 1], and the remaining 2 teams (3rd & 4th teams) will also do the same [Eliminator]. Whoever will be the winner of Qualifier 1 qualifies directly for the final match of IPL-11, whereas the losing team will get a second chance to play against the winning team of Eliminator match [labeled as Qualifier 2]. Winner of Qualifier 2 enters the finals to lay against the first winner of Qualifier 1. Whoever finally wins becomes the champion of Indian Premier League, Season 11. Chennai Super Kings: Full Squad: MS Dhoni (Captain), Suresh Raina, Kedar Jadhav, Ravindra Jadeja, Dwayne Bravo, Shane Watson, Karn Sharma, Shardul Thakur, Ambati Rayudu, Harbhajan Singh, Murali Vijay, Faf Du Plessis, Mark Wood, Sam Billings, Deepak Chahar, Muhammad Imran Tahir, Mitchell Santner, Lungisani Ngidi, Kshitiz Sharma, KM Asif, Monu Singh, Jagadeesan Narayan, Lungisani Ngidi, KM Asif, Kanishk Seth, Dhruv Shorey, Chaitanya Bishnoi. Head Coach: Stephen Fleming. Batting Coach: Michael Hussey. Bowling Coach: Lakshmipathy Balaji. Mumbai Indians: Full Squad: Rohit Sharma (Captain), Hardik Pandya, Krunal Pandya, Jasprit Bumrah, Ishan Kishan, Pat Cummins, Kieron Pollard, Evin Lewis, Surya Kumar Yadav, Ben Cutting, Mustafizur Rahman, Rahul Chahar, Pradeep Sangwan, Jason Behrendorff, Saurabh Tiwary, Akila Dhananjaya, Tajinder Dhillon, Siddhesh Lad, Aditya Tare, Anukul Roy, Mayank Markande, Sharad Lumba, Mohsin Khan, MD Nidheesh, MD Dinesan. Delhi Daredevils: Full Squad: Shreyas Iyer (Captain), Gautam Gambhir, Rishabh Pant, Chris Morris, Glenn Maxwell, Shreyas Iyer, Kagiso Rabada, Vijay Shankar, Amit Mishra, Shahbaz Nadeem, Rahul Tewatia, Mohammed Shami, Trent Boult, Colin Munro, Jason Roy, Naman Ojha, Jason Roy, Daniel Christian, Prithvi Shaw, Gurkeerat Singh, Avesh Khan, Jayant Yadav, Sandeep Lamichhane, Sayan Ghosh, Harshal Patel, Manjot Kalra. Royal Challengers Bangalore: Full Squad: Virat Kohli (Captain), AB de Villiers, Chris Woakes, Sarfraz Khan, Yuzvendra Chahal, Umesh Yadav, Brendon McCullum, Washington Sundar, Navdeep Saini, Quinton De Kock, Mohd Siraj, Colin De Grandhomme, Murugan Ashwin, Nathan Coulter-Nile, Parthiv Patel, Moeen Ali, Mandeep Singh, Manan Vohra, Tim Southee, Pawan Negi, Aniket Choudhary, Kulwant Khejroliya, Anirudha Joshi, Pavan Deshpande. Head Coach: Daniel Vettori. Batting Coach: Gary Kirsten. Bowling Coach: Ashish Nehra. Kolkata Knight Riders: Full Squad: Dinesh Karthik (Captain), Andre Russell, Sunil Narine, Chris Lynn, Mitchell Starc, Robin Uthappa, Kuldeep Yadav, Piyush Chawla, Nitesh Rana, Kamlesh Nagarkoti, Shivam Mavi, Mitchell Johnson, Shubman Gill, R Vinay Kumar, Rinku Singh, Cameron Delport, Ishank Jaggi, Javon Searles, Apoorv Wankhade. Sunrisers Hyderabad: Full Squad: Shikhar Dhawan (Captain), Manish Pandey, Bhubaneshwar Kumar, Rashid Khan Arman, Wriddhiman Saha, Kane Williamson, Sandeep Sharma, Shakib Hasan, Carlos Brathwaite, Yusuf Pathan, Chris Jordan, Mohammad Nabi Eisakhil, Billy Stanlake, Siddharth Kaul, Deepak Hooda, Syed Khaleel Ahmed, Shreevats Goswami, Basil Thampi, T Natarajan, Bipul Sharma, Mehdi Hasan, Ricky Bhui, Sachin Baby, Tanmay Agarwal. Kings XI Punjab: Full Squad: Ravichandran Ashwin (Captain), Axar Patel, KL Rahul, Andrew Tye, Aaron Finch, Marcus Stoinis, Karun Nair, Mujeeb Zadran, David Miler, Ankit Singh Rajpoot, Mohit Sharma, Barinder Sran, Chris Gayle, Yuvraj Singh, Ben Dwarshuis, Mayank Agarwal, Manoj Tiwary, Akshdeep Nath, Mayank Dagar, Manzoor Dar, Pradeep Sahu. Rajasthan Royals: Full Squad: Ajinkya Rahane (Captain), Ben Stokes, Jaydev Unadkat, Jofra Archer, Sanju Samson, Gowtham Krishnappa, Jos Buttler, Darcy Short, Rahul Tripathi, Dhawal Kulkarni, Zahir Khan Pakteen, Ben Laughlin, Dushmanta Chameera, Stuart Binny, Aryaman Vikram Birla, Anureet Singh Kathuria, Prashant Chopra, Ankit Sharma, Midhun S, Shreyas Gopal, Jatin Saxena, Mahipal Lomror. Head Coach: Paddy Upton. Mentor: Shane Warne. 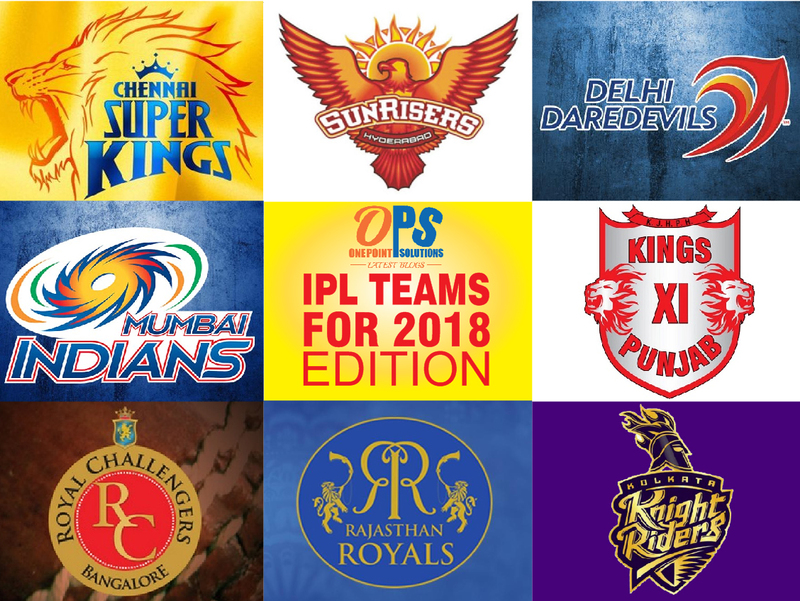 All the best to the 8 teams, including Chennai Super Kings, Mumbai Indians, Delhi Daredevils, Royal Challengers Bangalore, Kolkata Knight Riders, Kings XI Punjab, Rajasthan Royals, and Sunrisers Hyderabad for IPL Season 11. Well, Mumbai Indians won the IPL 10 trophy. This year the IPL fans are hoping that their favorite team should win all the respective matches to make their path towards finals of season 11. You can watch IPL Season 11 matches on Star Sports and Star Sports HD (Hindi and English) [television] and also on Hotstar. Also, visit IPLT20 to get the latest updates!